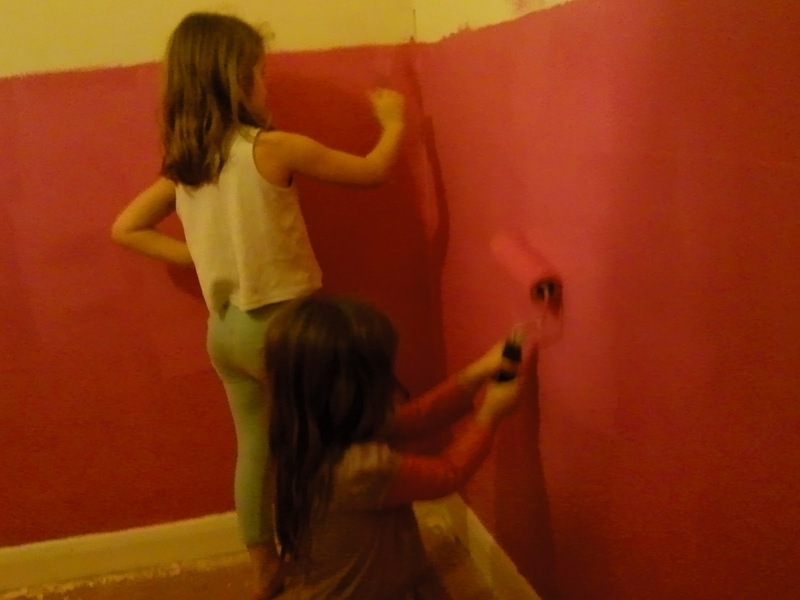 When you’ve had enough of painting, get the kids to finish it off; they think it’s fun! Unfortunately, he’s not off on holiday. He wanted to go to support his mum who’s facing a very hard time at the moment. She was on holiday with her husband when he was taken ill a couple of weeks ago and he’s too poorly to travel home. Ant’s sisters have both been out to be with their mum and Ant has been eager to get out there to be with her. He flew from Birmingham this morning and has a flight booked back home for a weeks time but he’ll stay longer if needed. Let’s hope they’ll all be able to come home soon.